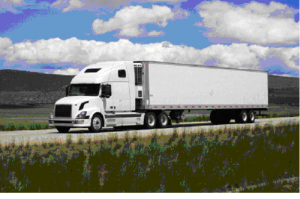 Truckers Are you Saving Miles or Saving Money? Saving Miles or Saving Money? Truckers would you use small roads or express way if you can save some miles? Trucking newbies, as well as experienced truckers, often find themselves in a situation when they see an amazing opportunity to save a few miles and some time by getting off the expressway and maneuvering through small town roads. Bad roads. By going off the route, you have no idea where you’ll eventually end up. A small town road might not be designed to accommodate your vehicle and you will be forced to U-turn, which is far from being a pleasant experience. If the roads are not designed to accommodate a large vehicle, a truck can cause damage to the pavement. The weight limits didn’t just come out of nowhere. Let’s face it. Cops are not less intelligent than we are. They are more eager to catch truckers on the small roads than race after speeders on the expressways because small towns need money. In addition, a speeding ticket is much more preferable than a fine for entering a “no truck” zone. If you think there are fewer cops on town roads than on the highways, think again. There are just as many or even more. Getting into an accident on a small town road is 70 % easier than on an expressway. People rarely expect to see a large vehicle when backing out of their driveways. Bikers, joggers, inattentive kids – these are the “fun” bonuses you get on small roads. The consequences of an accident don’t even need to be discussed. They can vary from unpleasant to downright scary. Going to non-approved roads can cost you up to $2,000 in fines and lead to a registration suspension for up to three months. It is easy to do the math and realize that such consequences will cost you much more money and hassle than you will save by getting off the expressway. Small roads might not always be a way to save time. Traffic on town roads can be much heavier than on an expressway. We have all broken a few rules while driving. It is hard to avoid adding a little speed or parking for just a few minutes in a restricted zone. However, choosing your battles is an absolute must when you are driving a truck. The consequences of maneuvering on small town roads can be extremely unpleasant for you and damaging to your vehicle. Food for thought: Did you know that a fully loaded five-axle rig that weighs 80,000 pounds could damage the expressway more than 5,000 cars? Imagine what it can do to a small town road. https://www.transittms.com/wp-content/uploads/2016/10/truckers-save-miles-or-save-money.png 415 626 admin https://www.transittms.com/wp-content/uploads/2015/05/transitlogoblue-300x146.png admin2016-10-22 19:50:502017-01-13 20:48:07Truckers Are you Saving Miles or Saving Money? 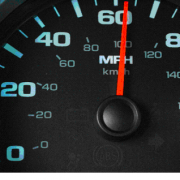 Truck Speed Limiter: Is the Government About to Make a Mistake? Truck Speed Limiter is a huge concern for the government. The government is actively pushing through a law that will require installing electronic truck speed limiters on all trucks over 26,000 pounds. The rule will work only for the vehicles manufactured after the law goes into effect. The regulation can be finalized after the comment period that will end on November 7th. The speed might be limited to 60, 65 or 68 miles per hour. The supporters of the new rule are turning to physics and saying that the slower the truck is; the less damage will occur upon crashing. A study done by National Highway Traffic Safety Administration showed that 1044 people die every year as a result of an accident involving heavy trucks on the roads, where the speed limits are at least 55 mph. They point out that if the speed was limited to 60 mph then about 500 lives per year would be saved since the crashes would be less serious. If the speed limit would be set at 65 mph, then over 214 lives would be saved. The agency seemed to have done a thorough job collecting and analyzing the statistics, but did they ask the truckers? People with many years of truck driving experience believe that the government could be making a huge mistake by limiting the driving speed. Will the new speed limit for truckers make the matters on the roads worse? Now the time has come to forget the physics and turn to logic. What will happen when one truck will try to pass another at a similar speed? The traffic jams will be unavoidable, the car drivers will be frustrated, and eventually some rules are bound to be broken. Truck owners will try to do their best to extend the lives of the old vehicles that don’t have an electronic truck speed limiter installed. Can it boost the cost of the used vehicles? It most certainly can. Accordingly, the sales of the new ones will go down. This approach can be rather dangerous since older and ill-conditioned trucks will be filling the roads. The same speed limit for everyone? While limiting the speed of trucks, the government is not even considering the same limitations for other vehicles. This can result in a reversed effect. If the truck is running slower than the rest of the vehicles on the road, it can cause a crash situation. A car with a higher speed that’s coming up behind a truck will run into its back every other time. More than 50 % of the truck-car accidents are caused by the cars, not the trucks. So will limiting the trucks really work? The discussion is underway and the new regulation has plenty of supporters. Chris Spear, CEO of the American Trucking Associations, is fighting against the new rule. But will his efforts be enough to stop the government from making a mistake? https://www.transittms.com/wp-content/uploads/2016/10/Truck-Speed-Limiter-coming.png 318 687 admin https://www.transittms.com/wp-content/uploads/2015/05/transitlogoblue-300x146.png admin2016-10-14 15:13:022017-01-13 20:45:57Truck Speed Limiter: Is the Government About to Make a Mistake? 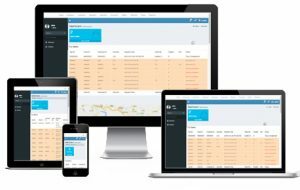 Irving, TX: TransIT TMS is offering free trucking software for owner operators and small trucking companies operating two trucks or less in their fleet. 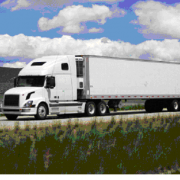 Interested owner operators and small trucking companies can sign up at the website selecting the package and following through the sign up process. Once you have signed up, you will be provided with the username and password to access the software within 24 – 48 hours (currently there is a delay). 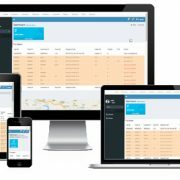 TransIT is the only software provider offering free web based trucking software in the trucking industry. 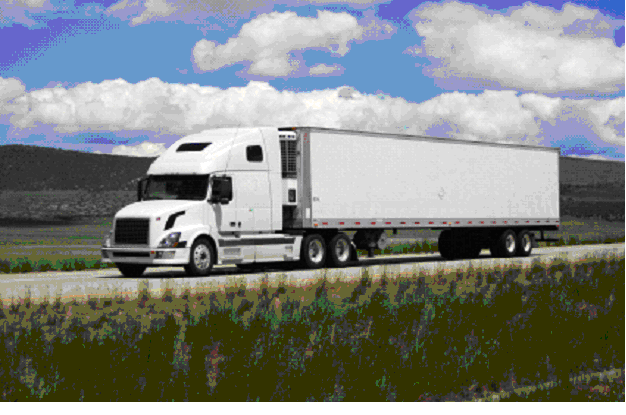 TransIT TMS helps you manage trucking operation efficiently by offering complete truck management system. Set up and dispatch easily from anywhere. As always, we will be here when you need support.